Cut the baking chocolate into small pieces. Put this chocolate melted in a double boiler and melt it gently stirring constantly with a spatula to get a smooth paste. Then Add sugar and ice-vanilla extract and then add 50g flaked coconut, Moringa powder and rhum. 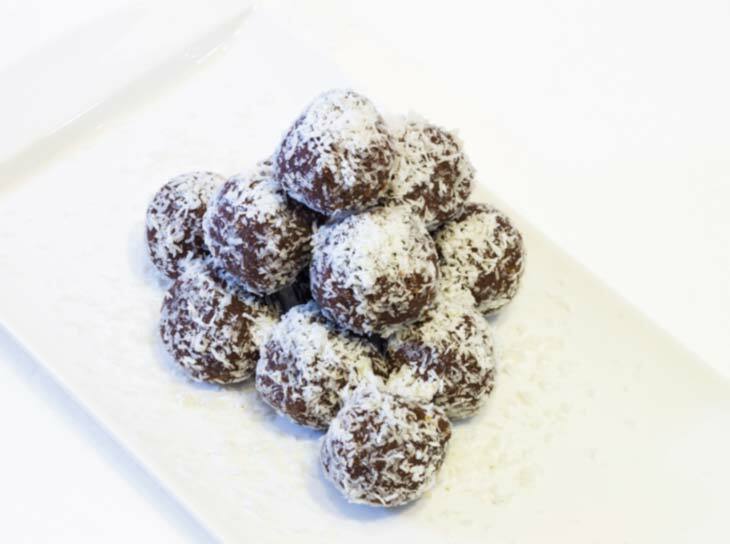 When the preparation has become very firm shape into small balls using a teaspoon and then roll them in the remaining coconut flakes. Keep your cool meatballs until consumption. Allow to cool a little while ensuring that your mix remains soft. Then refrigerate for 2-3 hours.